This will instill the credibility of vampires back into you, trust me. 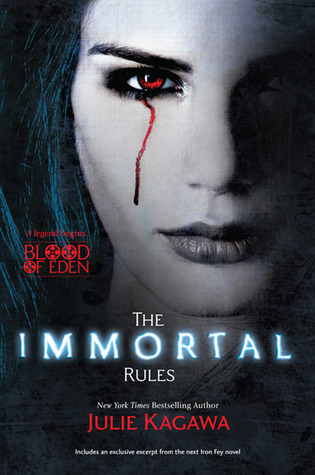 Presenting my review of Blood of Eden #1 The Immortal Rules by Julie Kagawa. 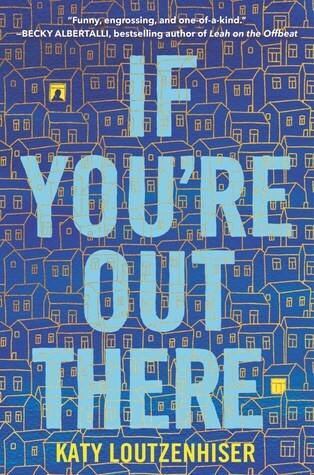 This is the anticipated book of the season. 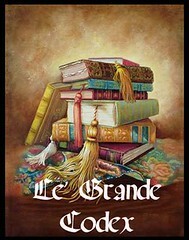 If my review is long...well deal with the book is a giant compared to what you'll be reading below. In a future world, Vampires reign. Humans are blood cattle. And one girl will search for the key to save humanity. Allison Sekemoto survives in the Fringe, the outermost circle of a vampire city. By day, she and her crew scavenge for food. By night, any one of them could be eaten. Some days, all that drives Allie is her hatred of them. The vampires who keep humans as blood cattle. Until the night Allie herself is attacked—and given the ultimate choice. Die… or become one of the monsters. Faced with her own mortality, Allie becomes what she despises most. To survive, she must learn the rules of being immortal, including the most important: go long enough without human blood, and you will go mad. Then Allie is forced to flee into the unknown, outside her city walls. There she joins a ragged band of humans who are seeking a legend—a possible cure to the disease that killed off most of humankind and created the rabids, the mindless creatures who threaten humans and vampires alike. But it isn't easy to pass for human. Especially not around Zeke, who might see past the monster inside her. And Allie soon must decide what—and who—is worth dying for. After her big stint with the hugely popular(my personal favorite) Iron Fey saga, Ms. Kagawa, has taken on a new turn.....to go the post-apocalyptic paranormal romance way. But will she be successful in instilling our interests back in the vampires and delivering something that is not sparkly(sorry couldn't resist)....well the answer is, YES SHE DOES. So without much further ado lets move forward to the review. Based in a world where the creatures of the dark, vampires have all come out of hiding, feeding on their human blood cattle, keeping the them tightly within their grasps, in a sort of outer fringes off their inner cities keeping them as miserable as possible. Among the humans their are two factions the Registered and the Unregistered. The registered are the ones who get to enjoy life a little bit easier then the unregistered do. Oh and did I mention that the unregistered don't get the luxuries the registered do and have to resort to stealing which is one of the most heinous crimes of all and is punishable by death....well not a bleak future you can tell. Enter Allison Sekemoto, an above mentioned blind spot, she and her rag-tag unregistereds search day and night(well day mostly) in trash cans, gutters and old city ruins for food and clothes. But hunger is not something you could always control sooner or later it consumes you and you can't do anything but to sort to dangers means to feed your stomach and Allie and her group pays the price when they are ambushed by rabids (the monsters that are made as a result to a failure of vampirism), Allie is on the brink of death, about to go rabid or die when a mysterious vampire finds her and gives her the option of either dying and retuning as a rabid or be a vampire, She chooses the latter. Its simple psychology people tend to not reconcile with death choosing and doing all they can to stay alive. As a vampire she learns all she can and needs to survive as a vampire from her mysterious creator, Kanan. She learns to fight, to survive but yet she can't see the point of drinking human blood, hoping animal blood can serve purpose but to no avail. And if she does and its not enough to satisfy her then sooner or later she is going to become one of the blood-thirsty rampaging lot, which is never a good sign. But trouble strikes and she is on her own again, this time coming in contact with a big human group travelling to find the only vampire-run city in the world, Eden. Does Eden truly exist or is it just a fable? But most of all how long can she feign to be a human? Eventually she'll realize that she'll need blood and soon to survive. Will it be enough to prevent a fall-out with Zeke, her new friend who definitely doesn't miss out on things. 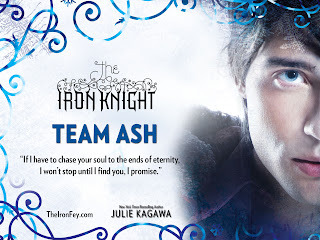 Julie Kagawa has successfully delivered the best piece of vampire literature yet. This is the story of how Allie learns how to be a vampire. She is strong character, she is loyal to boot and looks out for her friends and she is also very much a rebel and a closed off girl. The other characters are there to play a part in pushing Allie to accept her nature and use it in the best possible way. Romance is kept at a minimum, which is a good sign. 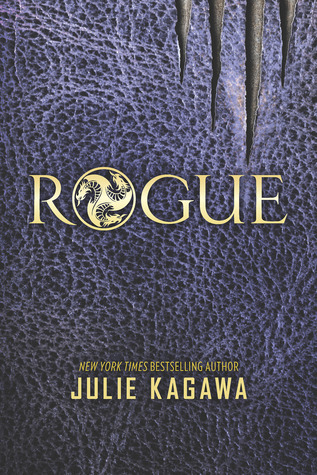 Vivid, dark and alluring descriptions, Julie Kagawa delivers what Julie Kagawa delivers. Can't wait now to see how goes the second book. "Now that's what true vampires are all about"
UPDATE: I just heard yesterday that The Immortal Rules is optioned for a movie for Palomar Pictures, on this happy occasion let me add the trailer to the book....wouldn't it be more awesome if the iron fey series also gets optioned. I agree! I am not into vampires at all, but I loooooved this book. It was so well done! I really loved this one too. I agree that she brought something new to vampires when I thought it couldnt be done. This was the second review that I've read that really almost convinces me that I'm going to love the series. It's a really great review and you did a great job on it, proving once again your delectable way with words. I honestly felt like I was reading a review in a mass published, well reputed magazine rather than a review on an awesome blog. You really did an excellent job on this one.